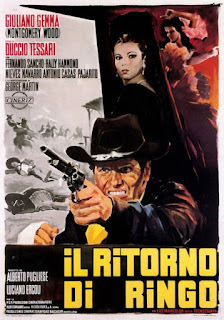 William Ferguson challenged me to list the 20 greatest Italian/Spanish Westerns. 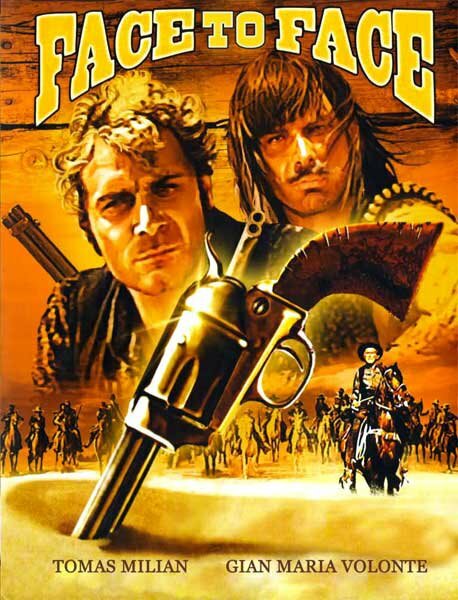 I tend to shy away from the term "greatest" because that suggests a more objective criteria than I usually want to deal with. 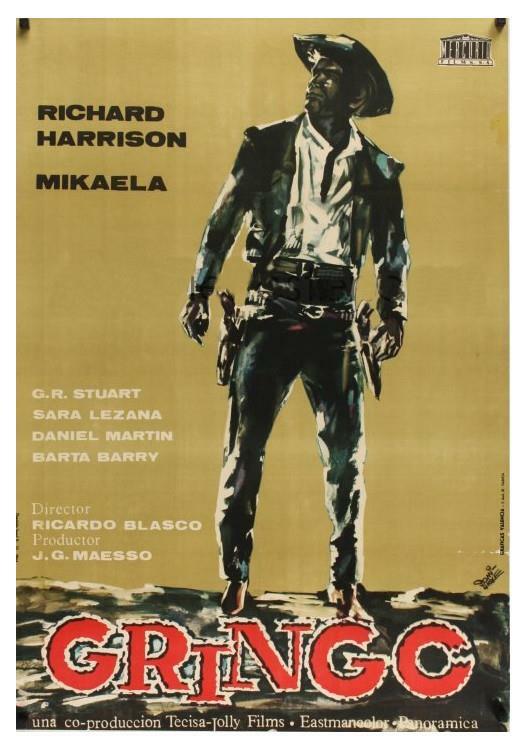 I prefer considering my favorites, but for this exercise I'll attempt "greatest". 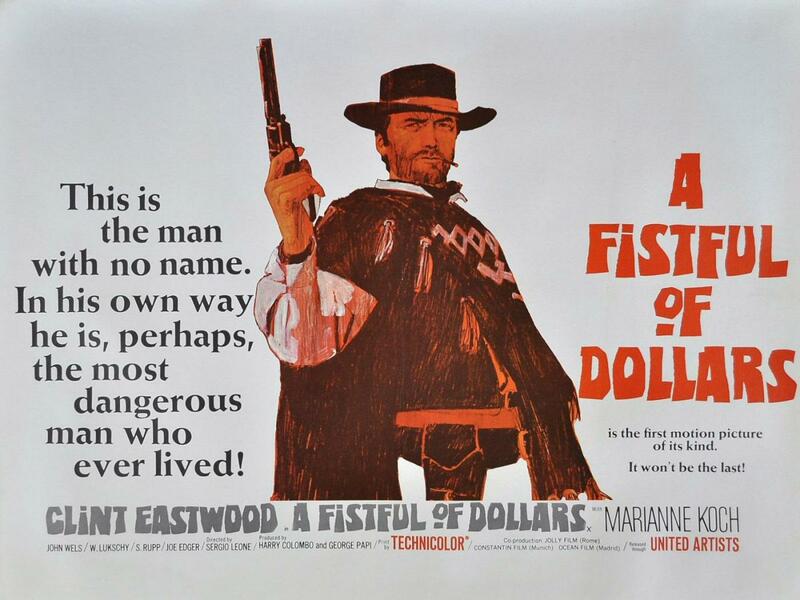 To be great a film has to be exceptional; to be first - to have a noticeable impact - to have imitators. 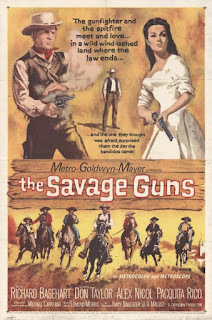 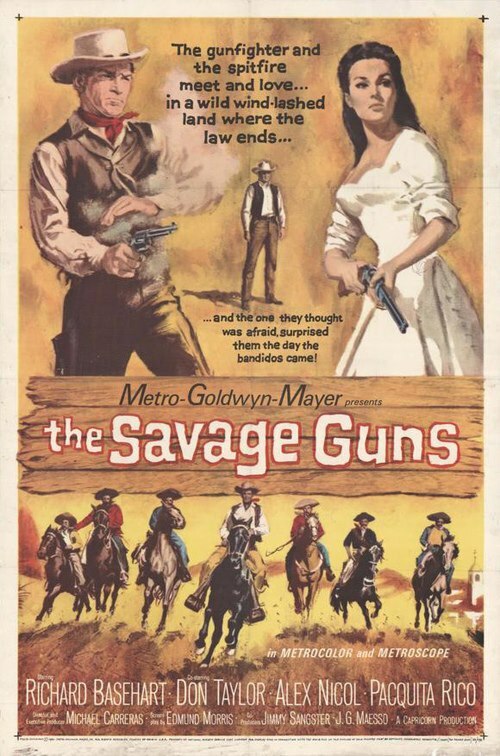 1) SAVAGE GUNS - While Spanish filmmakers had already been using Almeria to play the American southwest, this was the first English language production to show what it could do - though Sidney Pink prefers to think that his FINGER ON A TRIGGER did the job. 2) GRINGO, aka GUNFIGHT AT RED SANDS - Here's an example of Italian producers and a Spanish director making a Western before Sergio Leone got his chance. 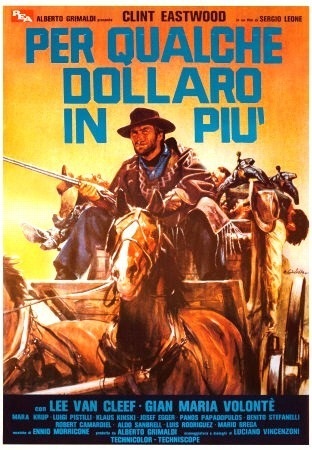 And it is the first Western scored by Ennio Morricone. It also introduced Richard Harrison as a Western star. 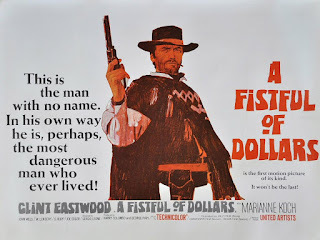 3) PER UN PUGNO DI DOLLARI, aka A FISTFUL OF DOLLARS - If it isn't for this movie, this list probably wouldn't exist. 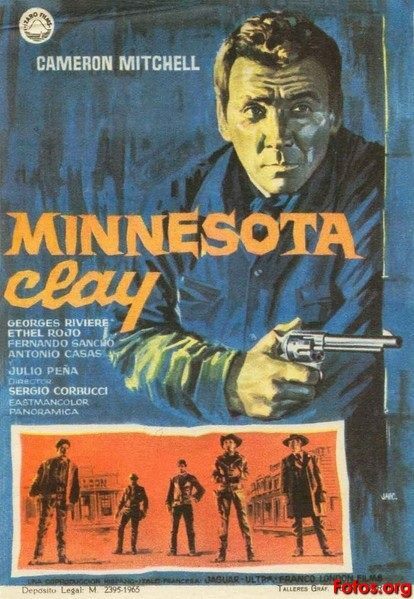 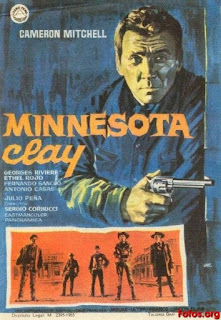 4) MINNESOTA CLAY - Here's the production that got director Sergio Corbucci away from Yugoslavia, where he made MASSACRE AT THE GRAND CANYON, to make Westerns in Spain. 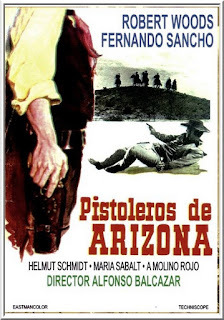 5) PISTOLEROS DE ARIZONA, aka $5,000 ON AN ACE - This establishes the Balcazar studios as an alternative to Almeria and introduces Robert Woods to Western stardom. 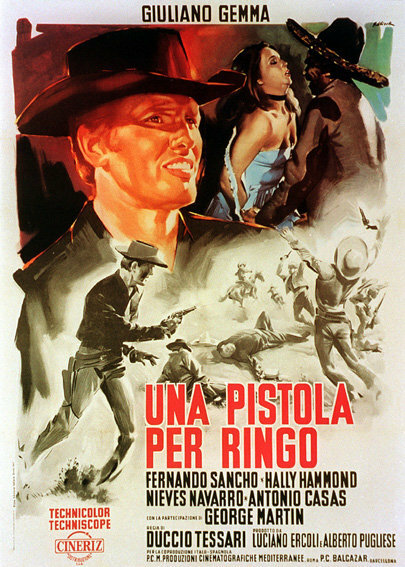 6) UNA PISTOLA PER RINGO, aka A PISTOL FOR RINGO - Duccio Tessari brings his sense of ironic humor to the Western and helps to establish Giuliano Gemma as the first home grown star of Italian Westerns, behind the name Montgomery Wood. 7) PER QUALCHE DOLLARI IN PIU, aka FOR A FEW DOLLARS MORE - With a bigger budget, Sergio Leone enriches his approach to Westerns, introduces Lee Van Cleef as a lead, and popularizes the term "bounty killer". 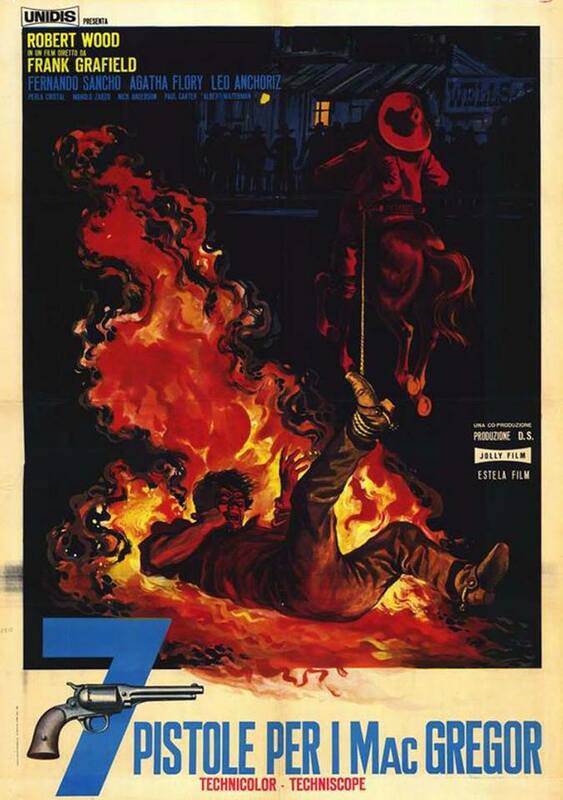 8) IL RITORNO DI RINGO, aka THE RETURN OF RINGO - Duccio Tessari is able to inject a sense of mythology into his Westerns, and Giuliano Gemma starts to use his real name. 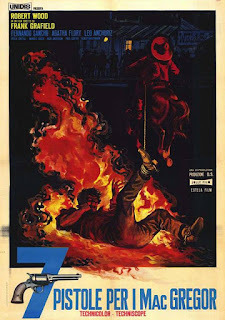 9) DJANGO - Director Sergio Corbucci decides to follow in Sergio Leone's footsteps with a lower budget, more graphic violence and a sense of exuberance that creates a new trend. 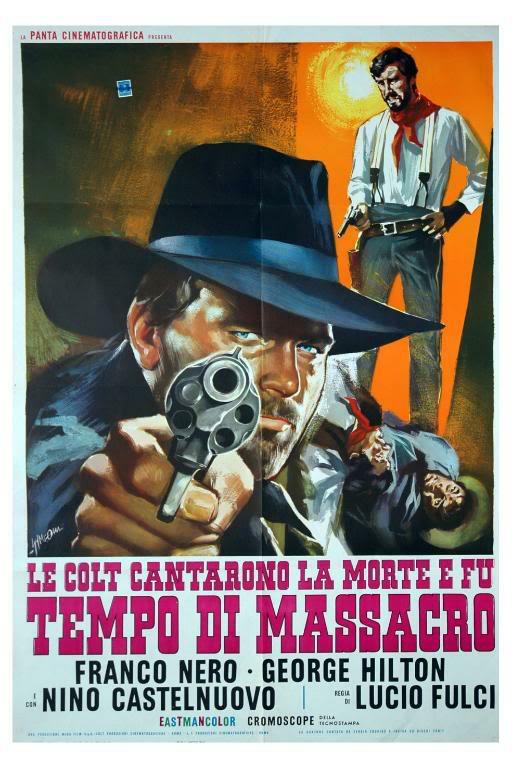 This film also gave Franco Nero his first starring role. 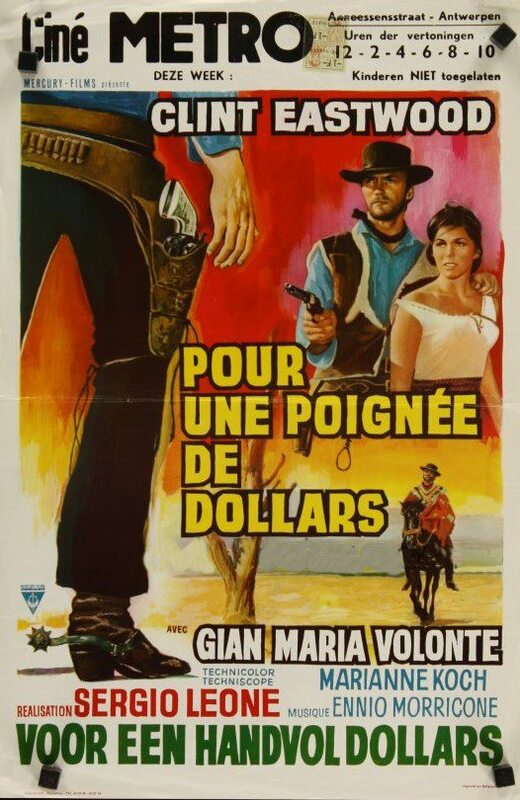 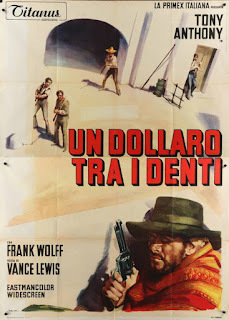 10) UN DOLLARO TRA I DENTI, aka A STRANGER IN TOWN - Director Luigi Vanzi and star Tony Anthony show how to do A FISTFUL OF DOLLARS on an even lower budget, and Anthony's connections to Allen Klein gets a U.S. distribution deal with MGM which proves so successful that sequels are ordered. 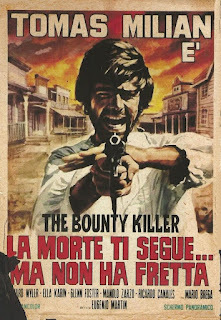 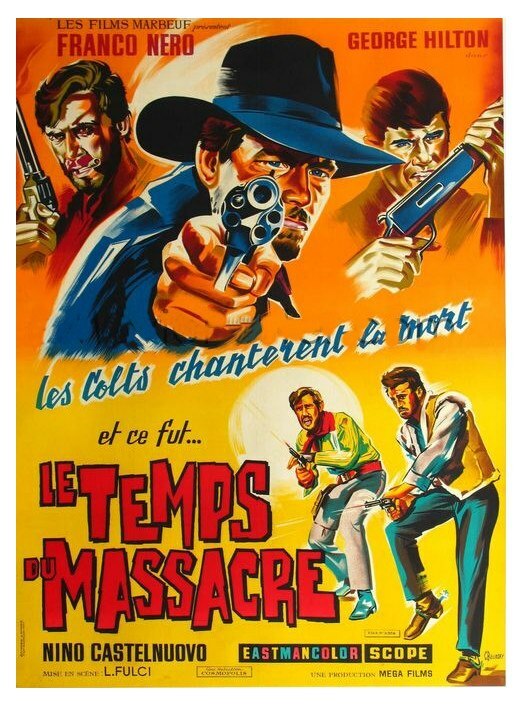 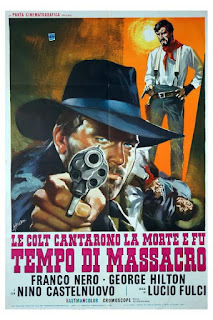 11) LE COLT CONTARONO LA MORTE E FU... TEMPO DI MASSACRO, aka MASSACRE TIME, aka THE BRUTE AND THE BEAST - Director Lucio Fulci emphasizes the gothic elements which directors Leone and Corbucci infuse their Westerns, solidifies Franco Nero's star status and introduces George Hilton. 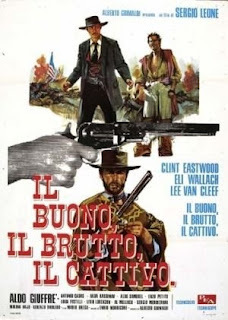 12) IL BUONO IL BRUTTO IL CATTIVO, aka THE GOOD THE BAD AND THE UGLY - Leone takes on the epic adventure and changes American culture. 13) FACCIA A FACCIA, aka FACE TO FACE - Director Sergio Sollima brings an intellectual element to these kinds of movies. 14) VADO... L'AMMAZZO E TORNO, aka ANY GUN CAN PLAY - Ditching the E.G. 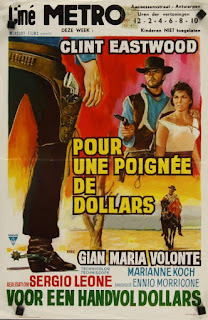 Rowland name and adopting the Enzo G. Castellari credit, Enzo Girolami makes George Hilton a star and takes these movies down the thorny path from being ironic commentary on American Westerns to satirizing European Westerns. 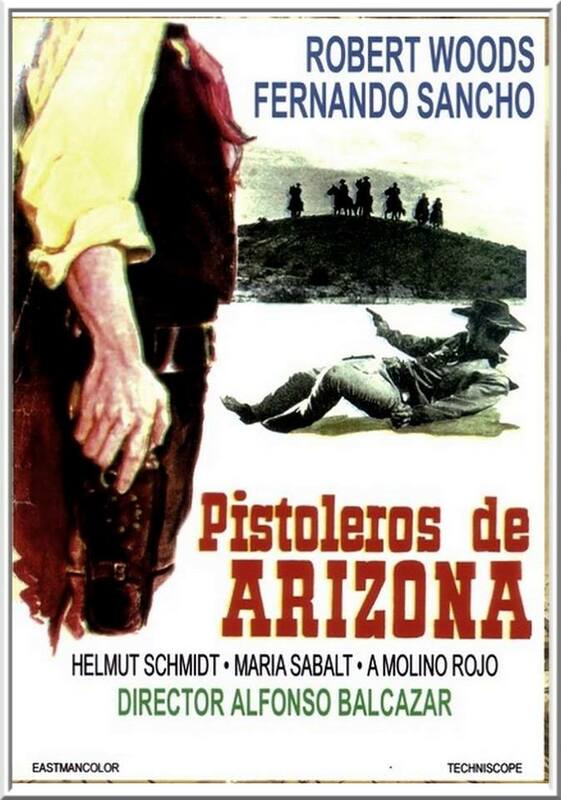 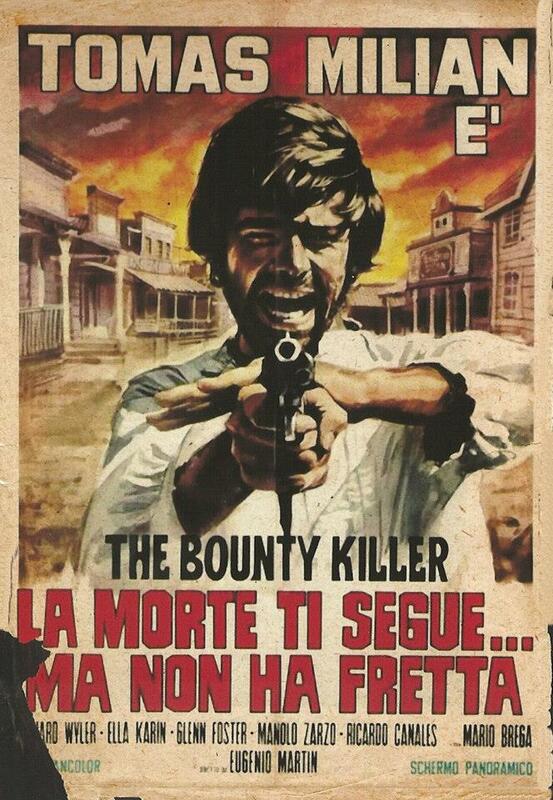 15) EL PRECIO DE UN HOMBRE, aka THE BOUNTY KILLER, aka THE UGLY ONES - Tomas Milian gives a movie career one last try and takes work in a Western shot in Spain. 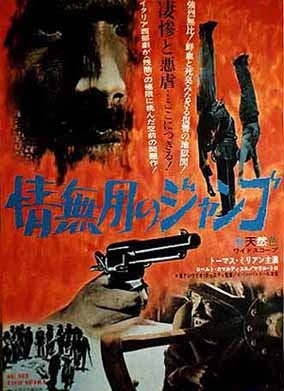 The result is a classic of its type. 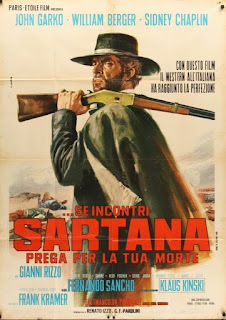 16) SE SEI VIVO SPARA, aka IF YOU LIVE, SHOOT!, aka DJANGO KILL - Director Giulio Questi and Tomas Milian get the money to make a Western and the result is a perverse art film. 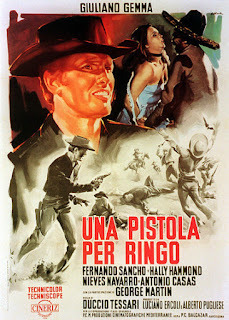 17) 7 PISTOLI PER I MACGREGOR, aka SEVEN GUNS FOR THE MACGREGORS - Director Franco Giraldi establishes his career with a film that acknowledges the influence of SEVEN BRIDES FOR SEVEN BROTHERS on Italian filmmakers and continues Robert Woods' Western career. 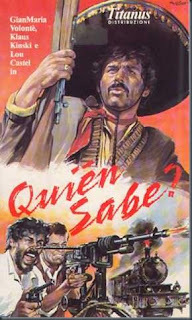 18) QUIEN SABE?, aka A BULLET FOR THE GENERAL - Director Damiano Damiani says that this isn't a Western; it's about the Mexican Revolution. The Mexican Revolution has been a plot element in alot of Westerns, including GRINGO, so attempting to make this a seperate category doesn't seem worthwhile. 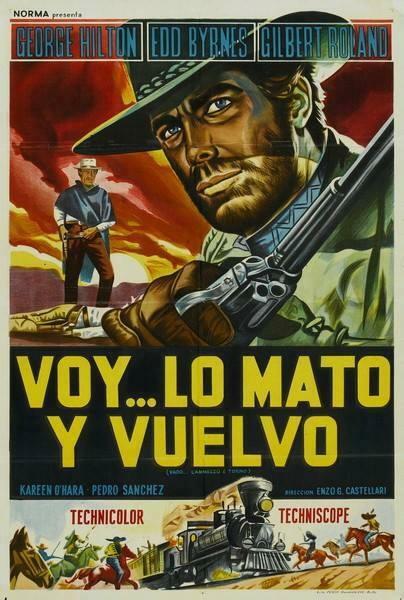 In any case, this movie introduces the idea of using popular action stories to spread political ideas. 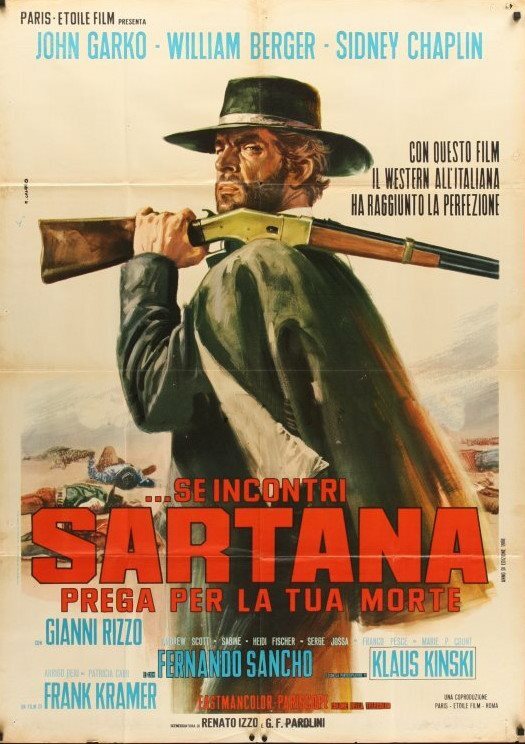 19) SE INCONTRI SARTANA PREGA PER LA TUA MORTE, aka IF YOU MEET SARTANA, PRAY FOR YOUR DEATH - Director Gianfranco Parolini makes Gianni Garko a star with a Western spoof of the James Bond gadget-filled movies, though with less bedroom action. 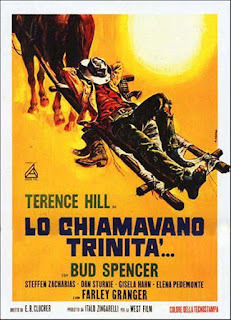 20) LO CHIAMAVANO TRINITA, aka THEY CALL ME TRINITY - Though they had already teamed-up for director Giuseppe Colizzi, Terence Hill and Bud Spencer become superstars under the direction of Enzo Barboni with this slapstick comedy that spoofs European Westerns even more strongly than ANY GUN CAN PLAY.